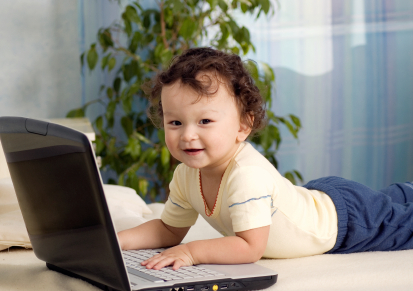 In 2009, Beginnings launched our Baby Smarts Program. Our agency has a long history of working with pregnant teens and young people who are parenting or exploring adoption and we wanted to offer a program that addressed many of the challenges they face. This program was initiated as a way of connecting with youth in high schools and youth group settings. In developing a program, we wanted to take the research into account. We found that discussions that enhance knowledge and support critical thinking skills have been shown to move youth towards a longer term goal of healthy decision making. Because teens are often influenced by their peers, we have seen that starting discussions in a peer group setting can help to challenge popular beliefs and misconceptions. Our interactive lesson plans sketch out a larger context for helping teens make wise choices. Each lesson helps youth to explore the bigger picture including: influences on decision making, their own values and beliefs, the needs of children, and healthy relationships. It is about building knowledge and real skills through interactive discussions and activities. The aim of these lessons is to help youth look forward and instill confidence in teens concerning their future goals and decision making abilities. Feedback from youth continues to support our program goals. They are eager to learn more about the challenges of parenting and continue to report that they believe healthy relationships really do matter. There are no fees for birth parents, or school programs.